The immortal seed and the amaranthine flame. Click here to go to our online store and shop for prints, books, jewelry and fashion. A fetish (derived from the French fétiche; which comes from the Portuguese feitiço; and this in turn from Latin facticius, “artificial” and facere, “to make”) is an object believed to have supernatural powers, or in particular, a man-made object that has power over others. Essentially, fetishism is the emic attribution of inherent value or powers to an object. Theoretically, fetishism is present in all religions. Power objects and substances, such as bones, fur, claws, feathers, gemstones and crystals, water from certain places, certain types of plants and wood are common fetishes in the traditions of cultures worldwide. Fetishes were commonly used in Native American religion and practices. The bear, being the oldest known deity in the world, represented the shaman, the buffalo was the provider, the mountain lion was the warrior, and the wolf was the pathfinder. Our custom fetishes are made individually at your request. A few examples include; Bison, Lion, Wolf, Turtle, Crow, Impala, Bear, Eagle, Coyote, Snake and Human. Available in cast or plated; gold, silver, bronze or aluminum; as well as gold or silver leaf coatings. Most are Replica, but some real skulls are available. Contact us immediately to let us know what you desire. 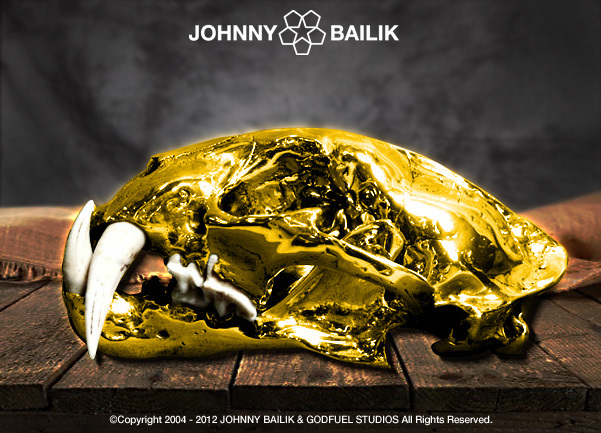 (Item) Power Reclaimed – 18-karat gold Jaguar skull. Items are available for commission. Depending on the work requested, a retainer fee upfront is required. My freestanding unique fire sculptures evoke the mood of a fireplace or a gas fire pit, but with one big advantage, it’s portable. This fire sculpture can be placed on a porch, patio or inside a loft or house. 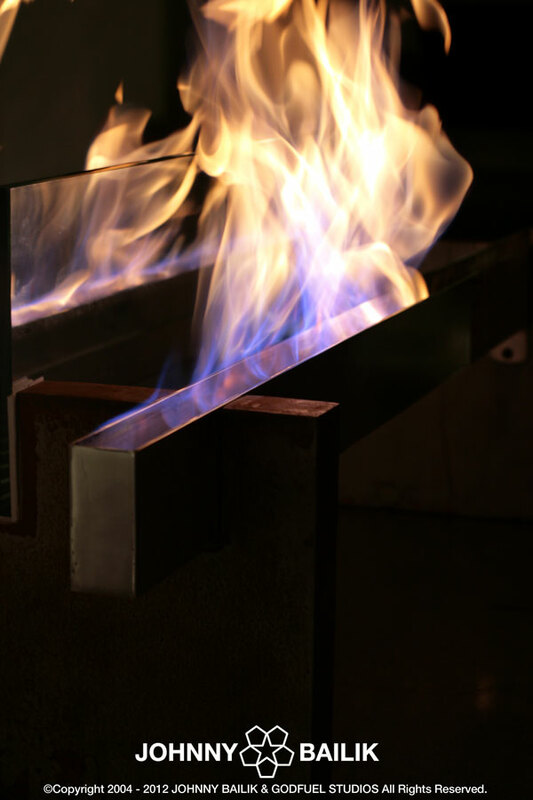 This modern design does NOT requiring a flue or chimney, the brilliant flame is created from clean-burning ethanol, a green fuel. I can create any custom work that you request; it is design specific for each client. The sculptures can be any size that you require. Materials may include steel, aluminum or glass. Freestanding floor or wall hung units are possible and made to fit your home and environment. Items are available for commission. Depending on the work requested, a retainer fee upfront is required. Contact us immediately to let us know what you desire. Custom pieces range from $240 on up. 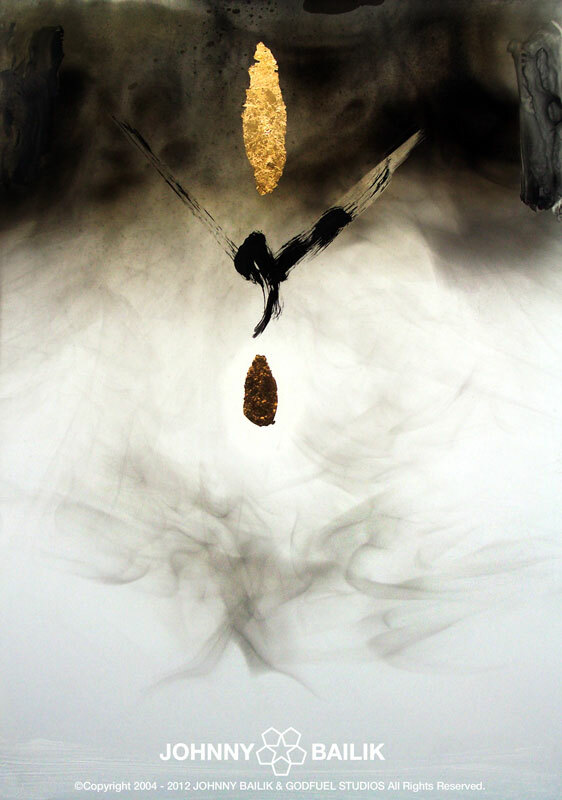 (Item) Sacred Fire of Vesta – Raw steel, polished aluminum, tempered glass, alcohol and fire. 56 x 20 x 26 in. – 110 lbs. If you would like to buy any of my paintings please send an email and we will get back to you with payment options and shipping information as soon as possible.